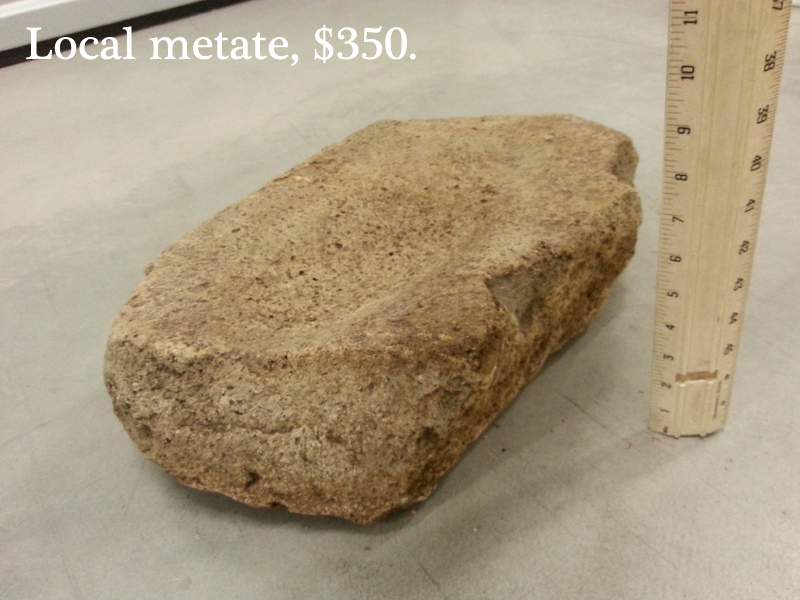 Local Indian Metate, $350, OBO. This is a San Diego Indian metate used by local Indians to grind their acorns and pine nuts into meal and it was found in the 1960’s where it had been left behind by the indigenous inhabitants in Sorrento Valley approximately where the 805 and I5 freeways now merge by a train company employee who was doing a non-endemic grass survey of train property. It was found in a dry wash near a collection of mortar holes. The rock is granite similar to the type found in the mountains of East County San Diego so it had been carried a long way. Hard for me to say how old it is, how the people who used it as a home made blender made the depression in this hard granite, or how long it was in their family, but perhaps it’s even hundreds of years old. I don’t know! If you know much about the history of these artifacts you also know they are not being found in San Diego city limits any longer. I have had it for a while but I am moving and can’t really lug it around like I want to. 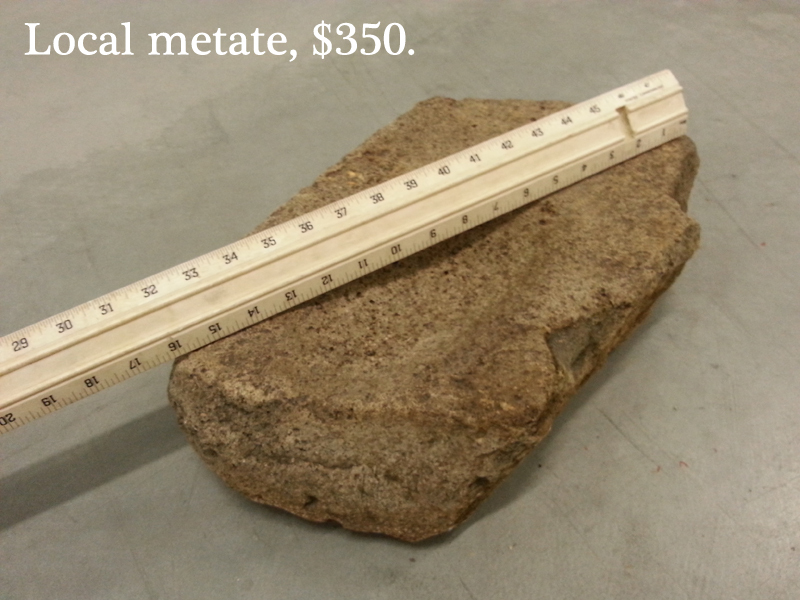 So for the low price of $350 you can own a genuine Western artifact of archaeological significance. Just promise me you’ll give it a good home because it was an important part of someone’s home fires at one time. It would look really awesome sitting on your kitchen counter now!